The news will come as a shock to few, as the vast majority of forecasting economists were picking this result. He says labour market conditions are projected to tighten further. Spencer says the bank is expecting consumer price index (CPI) inflation to weaken in the near term. He cites softness in food and energy prices and adjustments to government charges as the reasons for this. The wording here is very similar to February’s OCR review. Spencer says residential construction continues to be hindered by capacity constraints. Spencer’s comments on expectations for further OCR changes was identical to last month’s OCR statement. Westpac Chief Economist Dominick Stephens says the Trade Weighted Index (TWI) has been bang in line with the RBNZ's previous forecast. Thursday’s OCR review was the last for Spencer, who has been Acting Governor since Graeme Wheeler stood down last September. 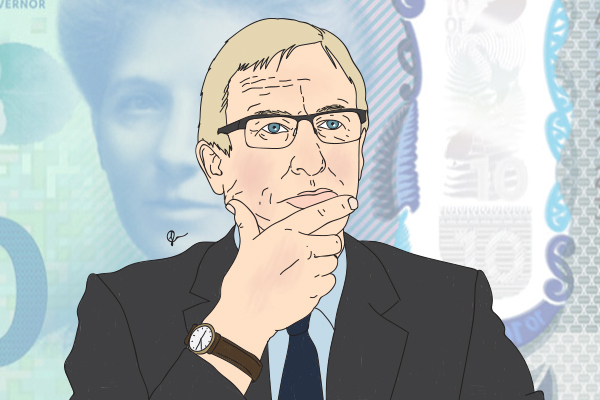 “The sentiment is that Governor Spencer has left the ship sailing in the right direction and has successfully emerged from some choppy conditions caused by a change of government,” says Capital Economics Chief New Zealand Economist Paul Dales. Adrian Orr takes over as Governor on Tuesday next week – he will sign a new Policy Targets Agreement with Finance Minister Grant Robertson before then. Dales says Orr will surely face more challenges during his term, which begins on Tuesday. “The greatest will be trying to raise inflation to the middle of the 1-3% target range against a backdrop of slowing GDP growth." Meanwhile, the US Federal Reserve has hiked its interest rates 25 basis points to 1.5%-1.75%. New Fed Chairman Jerome Powell also said the US economic outlook has strengthened, hinting that the path to further interest rate hikes could be more aggressive. The kiwi dollar jumped roughly half a cent against the US greenback after the news.